GHRC DAAC held its annual User Working Group meeting November 13-14 in Huntsville, AL. The primary focus of this meeting was to present GHRC FY2018 successes and provide descriptions of FY2019 goals. The DAAC also reported improvements and changes that directly responded to last year's UWG recommendations. The GHRC DAAC UWG was led by chairs Michael Peterson (Los Alamos National Laboratory) and Pierre Kirstetter (University of Oklahoma). 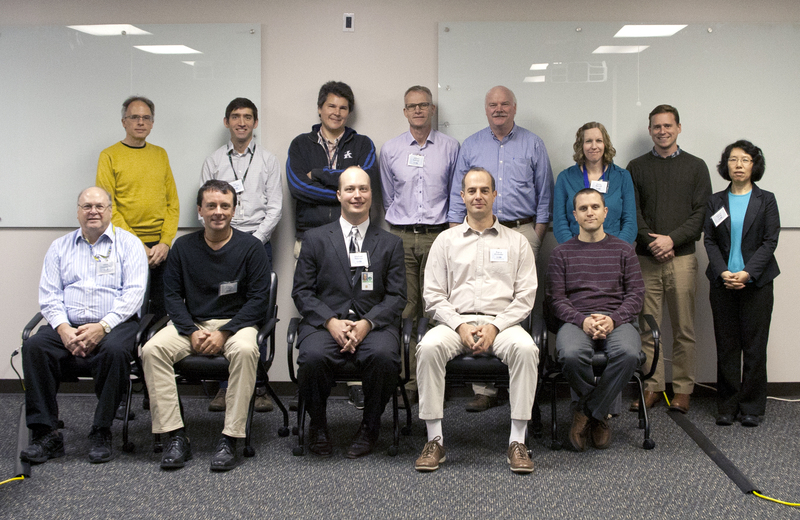 We were also pleased to have several guests joining us, including Andy Mitchell, Drew Kittel and Steve Berrick from NASA's Earth Science Data and Information Systems (ESDIS) Project; Bruce Wilson (ORNL DAAC) and Chris Doescher (LP DAAC). A lively afternoon brainstorming session included topics on how to broaden the GHRC user base, improve field campaign data use, and future communication with our users.